UPDATE A quick lookback & 2019 ! This is just a short update on why we had so many issues with people not able to connect to the server. As far as we know, this issue should be resolved and everyone should be able to connect just fine again. The issue was caused by us updating our BungeeCord to 1.13 support, we'll try to find out what is causing these issues for when we have to update in the future. We want to send out a big thank you who voted the past month, this really supports the server and helps us getting over to new players. All of you will receive a coupon shortly in a private message. As all of you probably know, CentrixPVP hasn't been doing that good in the past 1 to 2 years. We lost a big part of our player base, partially due to MineCraft being less popular, but mostly because of mistakes that we made. I want to deeply apologize for the mistakes that were made, but sadly enough we cannot undo them. 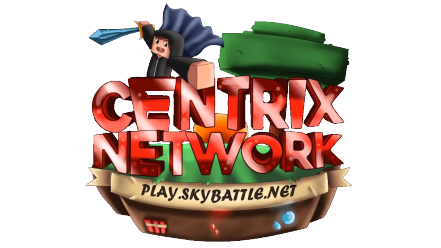 I will now officially be taking over the main ownership of CentrixPVP. However, Hij310, mechoriet & jooster11 will remain part of the Owner team. Behind the scenes I already had this role, but now it's also official. One of the mistakes we made in the past was having a lack of trust in our staff members. We always wanted to make resets ourself, which caused for huge delays in between resets (for example this & previous prison release). This post is very late, I know, I was basically inactive for 2-3 weeks because of exams, and when I could get online I usually forgot to write this post. This gamemode was being requested for quite a while actually, so we finally decided to add it. We would love suggestions and / or ideas / bug reports before we fully release this mode, so we can make it as good as we can. We actually are posting this when the new topvoter rotation nearly is finished, this due to our store being offline - so coupons couldn't be redeemed anyways.